Home / Viral / Chief Insp. Espenido reveals bribe attempts "hindi lang pera, pati katawan inaalok"
Chief Insp. Espenido reveals bribe attempts "hindi lang pera, pati katawan inaalok"
Ozamiz City police chief Senior Inspector Jovie Espenido revealed that some politicians who are allegedly involved in illegal drugs attempted to bribe him in exchange for protection and let their drug operations and other illegal activities to proliferate. 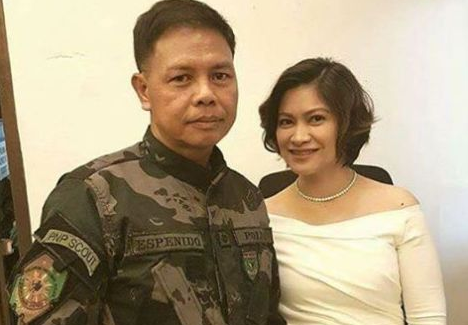 In a short exclusive interview, Espenido admitted that a certain narco-politician from Ozamiz he refused to name tried to bribe him not just money but also attempted to offer her body to him. He even said that due to bribe attempts, several police officers in Ozamiz who were all tempted can no longer perform their duty well. "Kung bribe lang..dito ko nakita kung bakit hindi maka-perform ng maayos ang mga hepe dito dahil sa kanilang diskarte na susuhulan ka talaga, by all means..minsan pati nga katawan inaalok." This still shocks me! Digong needs another 30 years to rule with more principled people like Espinido under his command.